Here is specific example: if I look at the events_statements_summary_by_digest table in PERFORMANCE_SCHEMA, there is a MAX_TIMER_WAIT field that shows me what the maximum query execution time is for the query pattern. If I want to get the maximum query execution time for every minute, for example, I would need to “truncate” the table to reset the statistics and let the maximum value be computed again. If I don’t perform that operation, the data becomes meaningless. If I make the exporter to reset the statistics during the poll, however, I can’t pull it from two Prometheus servers. Another issue I discovered is that Prometheus doesn’t have any protection from bad (long) samples, or a very good method of detecting of them. Let’s imagine that I have a MySQL server and I’m sampling status data every second. For some reason the call to SHOW GLOBAL STATUS took five seconds to execute. The truth is we don’t really know where in those five seconds the SHOW GLOBAL STATUS output corresponds – it might be at very start, it might be at the very end. As such, you don’t really know how to process the counters. Whatever you do, you’re likely to be wrong. My preference in this case it to simply discard such samples, because even missing one percent of the samples is unlikely to change the whole picture. Constantly questioning whether you really had a couple of seconds where the QPS spiked to ten times the normal rate, or that it’s an invalid sample, is not something I on which I want to waste a lot of time! My preferred approach is to configure the SHOW GLOBAL STATUS capture so that if it takes more than ten percent of the capture interval, it will be discarded. For example, with a one second capture I would allow 100ms for the capture. If the system is not keeping up with this scale, I would be better to not fool myself and reduce the capture resolution to around five seconds. Finally, it is also inconvenient to specify different resolutions for different data. In MySQL there is a often a lot of data that I want to capture, but the resolution needed for each capture is different. For example, SHOW GLOBAL STATUS with one second resolution is must. 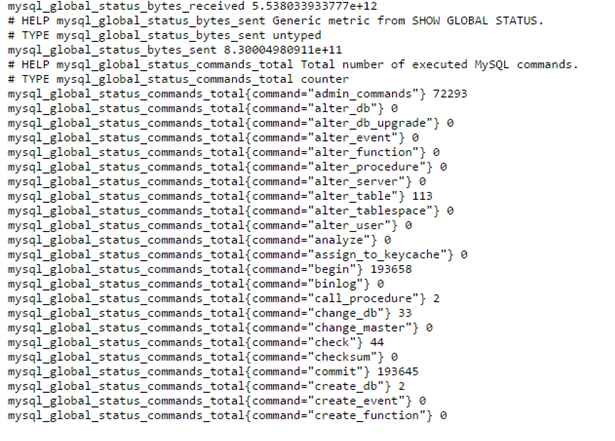 At the same time, capturing the table size information from INFORMATION_SCHEMA with a one second resolution would put too much load on MySQL, especially if there are a lot of tables. That level of resolution in this case isn’t really needed. Retention configuration in Prometheus is pretty spartan. You can set storage.local.retention to the length you want to store the data, but that’s it. You can’t configure it to purge different data at different times. You can run multiple Prometheus instances to achieve this, but it’s quite a hassle. It’s also not possible to instruct Prometheus to automatically build summaries in order to execute low resolution queries faster. They use LevelDB? Wonder if they should switch to RocksDB when write rates get too high. RocksDB looks interesting, but would require some C wrapping as the core code is not in Go. This is something we’ve had issues with CGO in the past, hence our use of a pure-go implementation of LevelDB. Yes I’m looking at InfluxDB as well. I will need to spend more time with it to write intelligent opinion on that topic. One thing which is very clear is MySQL Support for InfluxDB is not that high priority – MySQL Exporter in Prometheus is light years of Telegraf MySQL plugin as of right now. LevelDB is just for storing series metadata. The actual timeseries are stored in a fairly simple and efficient append-only file format. As for InfluxDB, we have tried using it as a backend to store timeseries at various points, including the current re-write of their storage engine. We have found it to have too much overhead compared to our simple format. 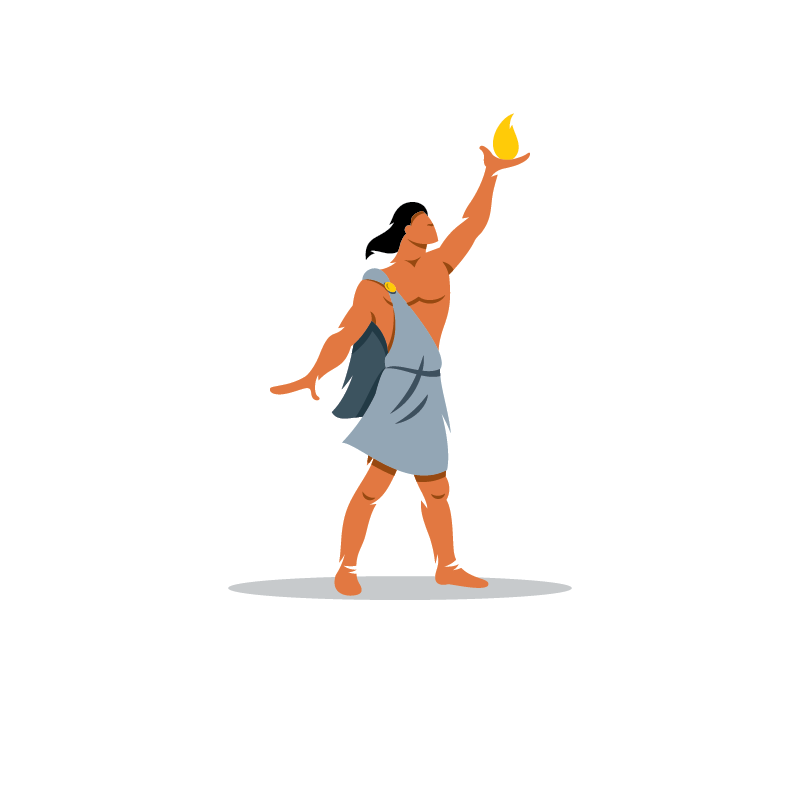 Because one of the primary goals of Prometheus is for production quality alerting as well as monitoring, we prefer to to have the minimum number of dependencies. Storage is entirely local right now so that in the event of some network problems, we can still attempt to scrape data and send alerts. One thing which is a big issue for me with InfluxDB right now, and where Prometheus is fantastic is being able to do math between any measurements. Being able to do math to compute how much IO is being done per transaction and things like that is very valuable. This is actually a comparison between the different storage engine. (http://prometheus.io/docs/introduction/comparison/). I don’t know much about Prometheus but Graphana looks really good. Combining the 2 might be the best solution.